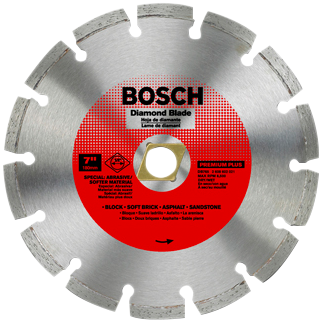 Segmented blades feature quality industrial-range diamonds and an easy-to-use color coding system. Applications include cutting pavers, soft brick, asphalt and concrete/block. For use in large angle grinder.